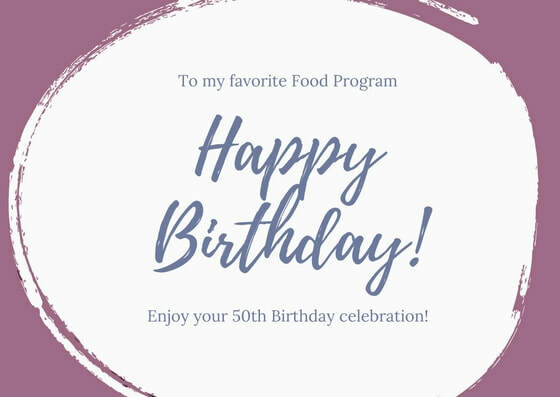 Use a publishing software like publisher to create a post card and add print about your celebration to the back side of the card. 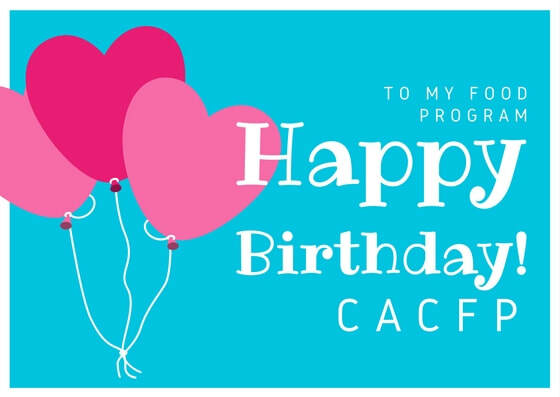 Right click on the card, next click save image or download all via pdf here. 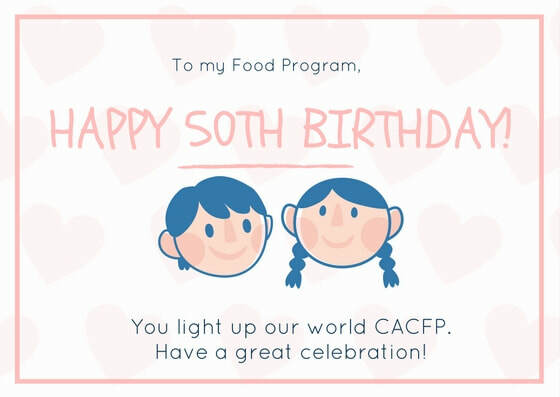 Send them to everyone! 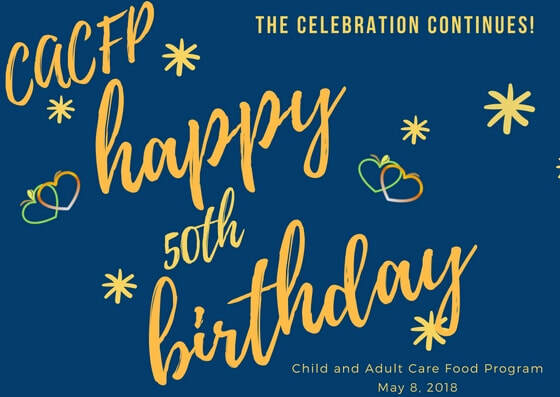 Happy celebrating. 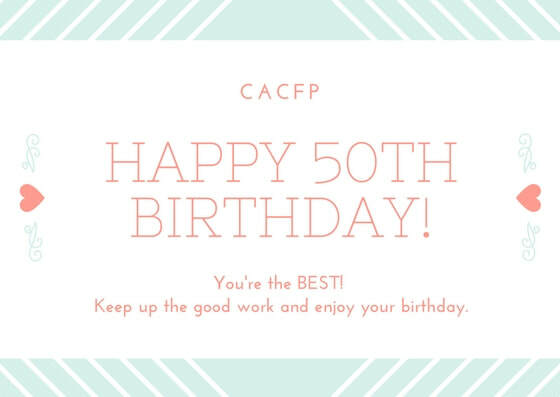 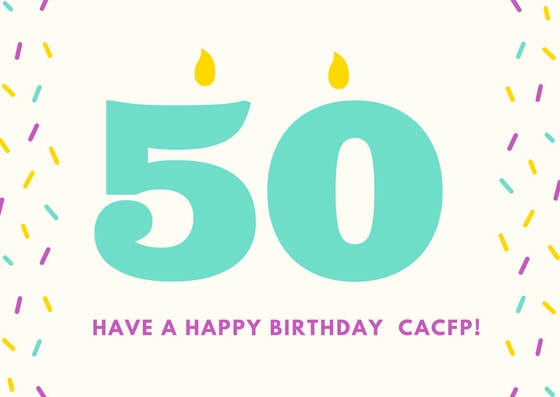 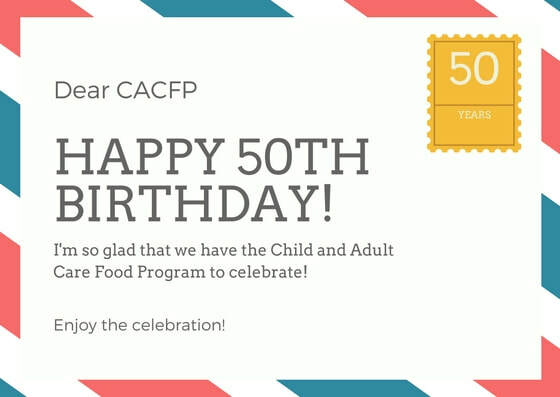 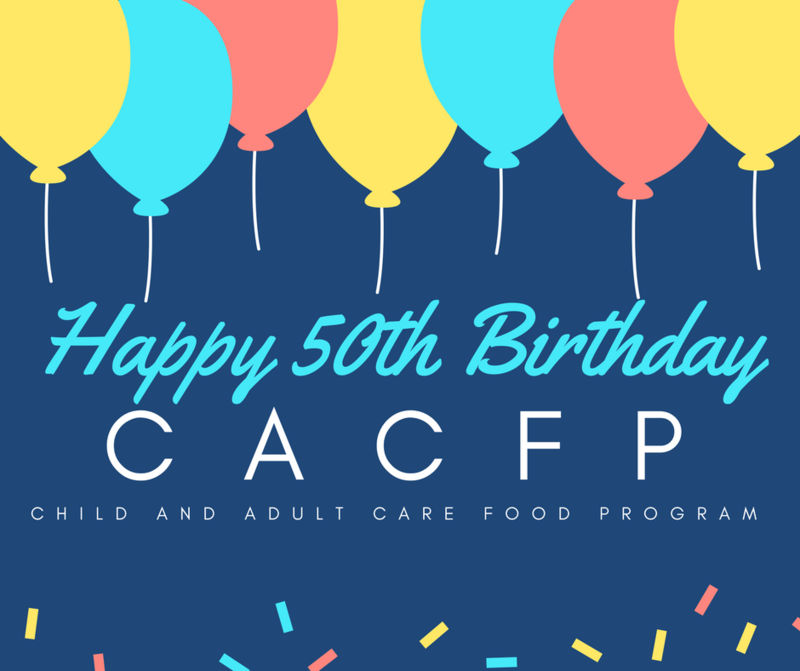 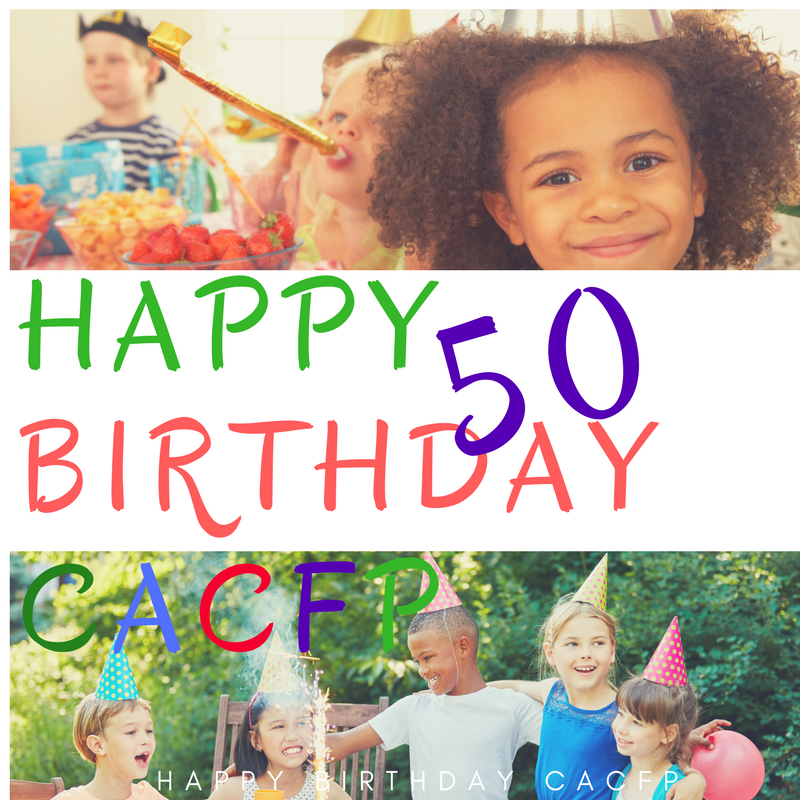 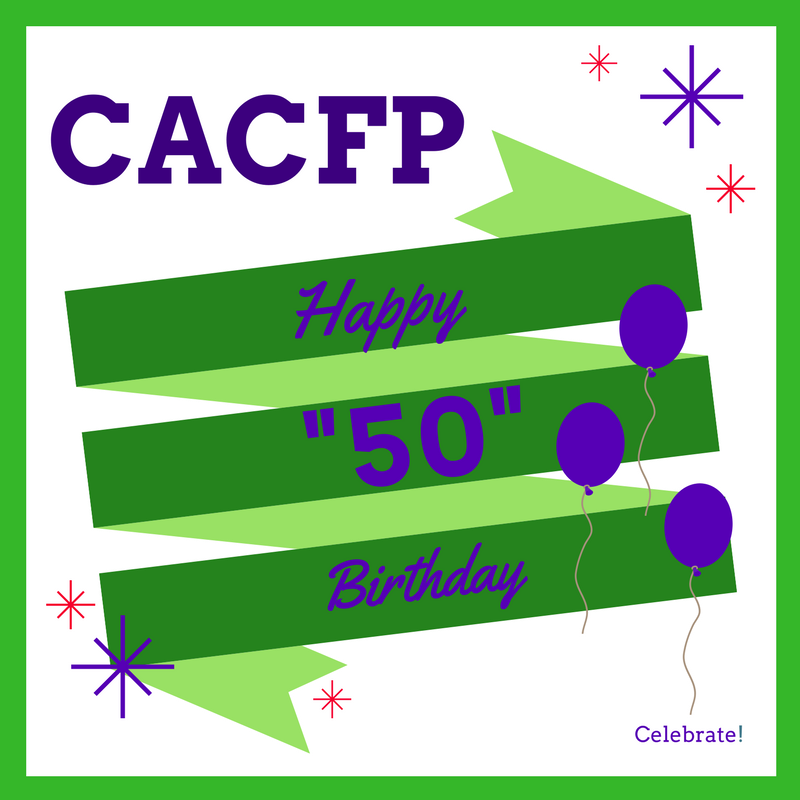 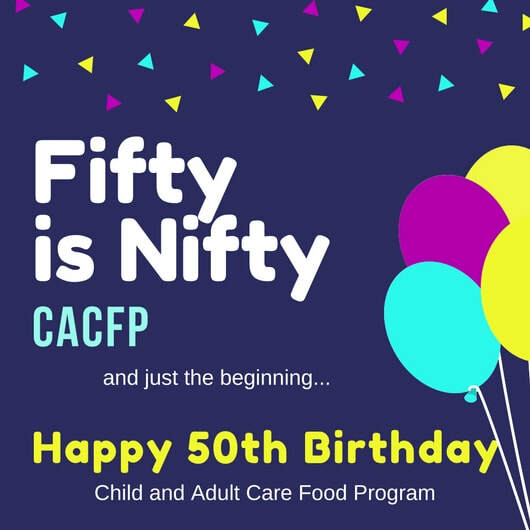 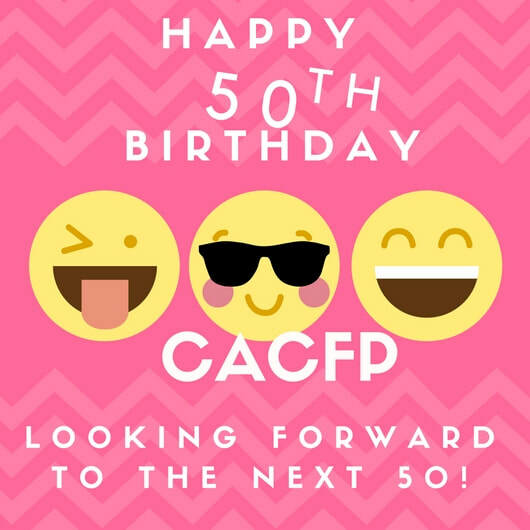 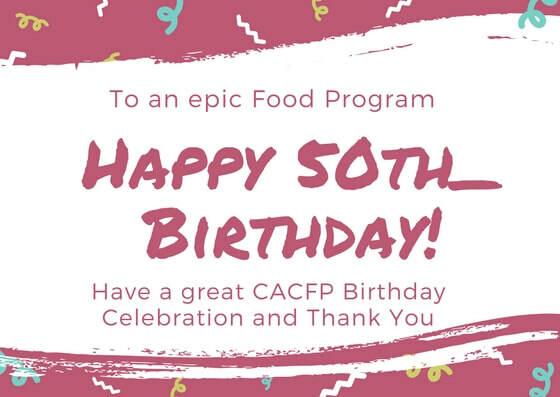 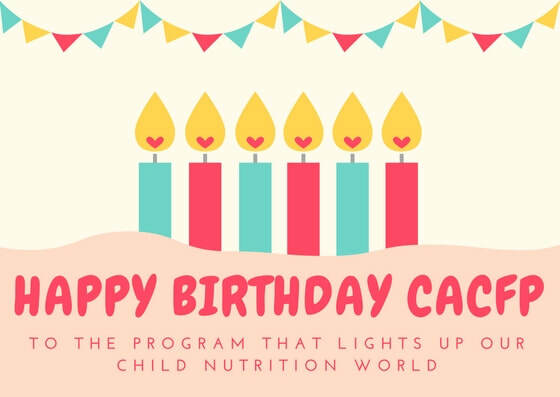 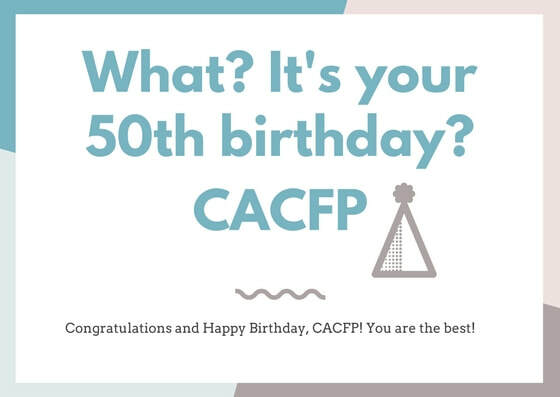 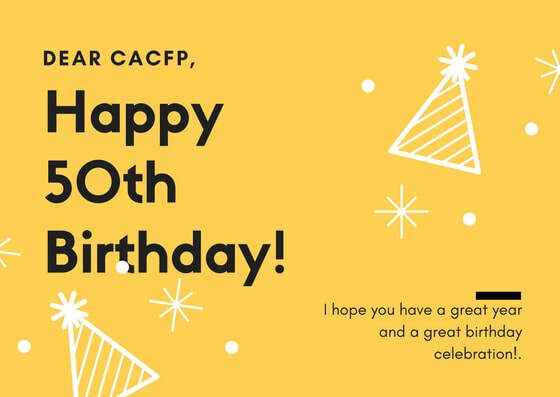 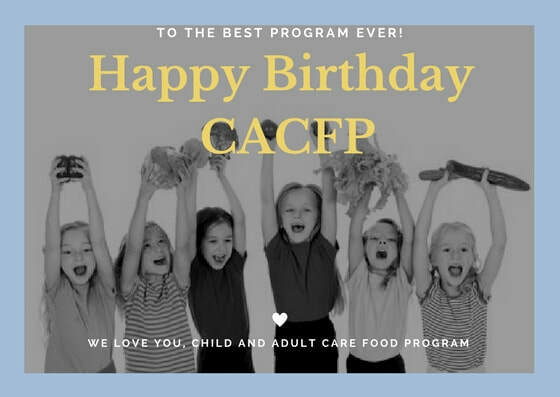 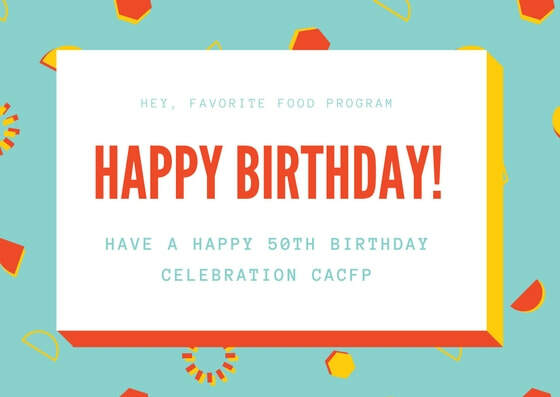 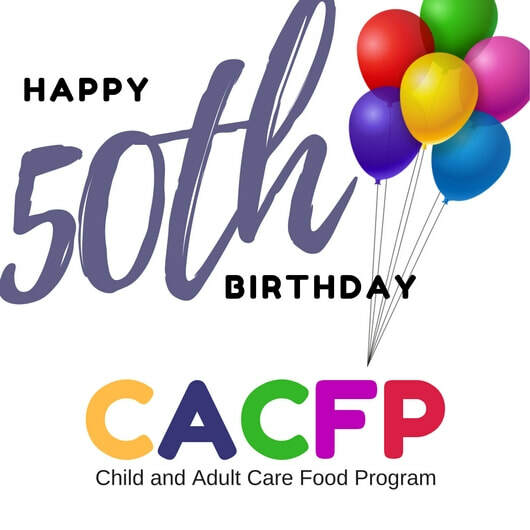 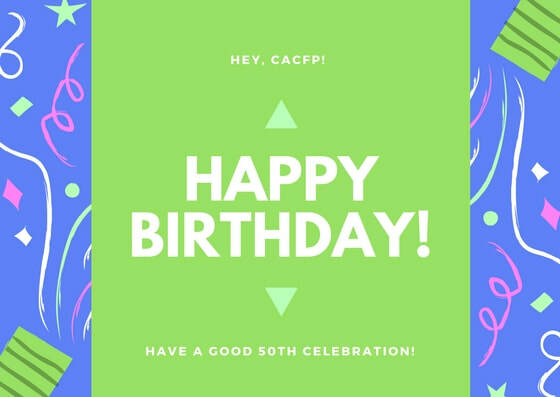 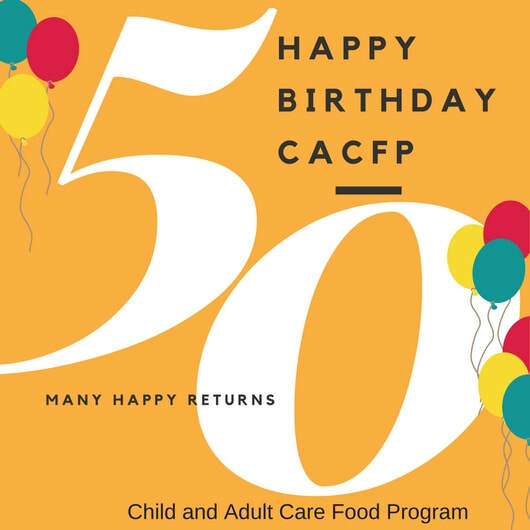 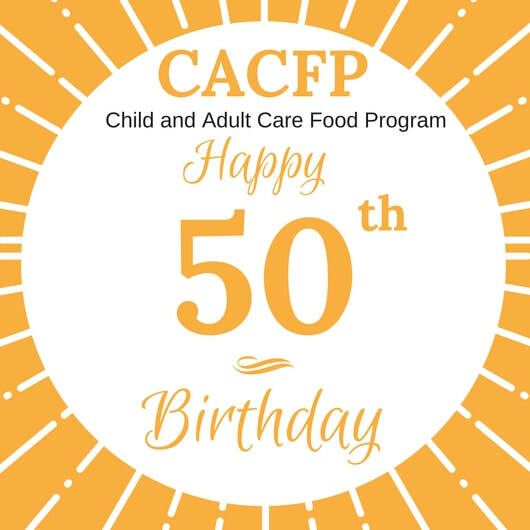 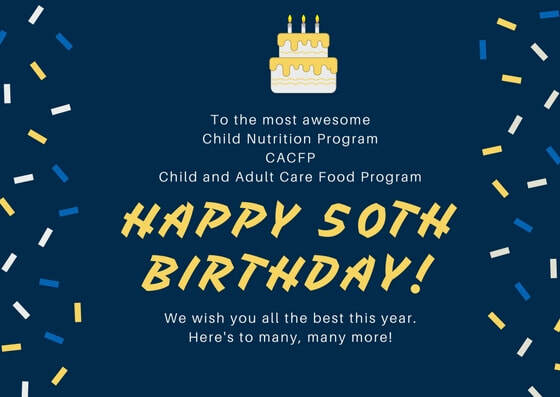 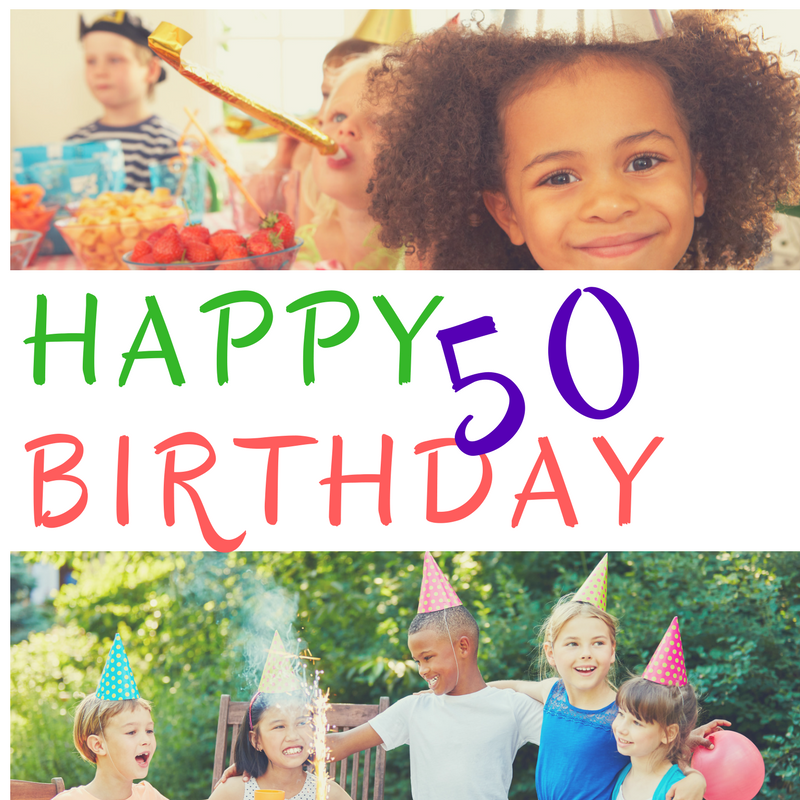 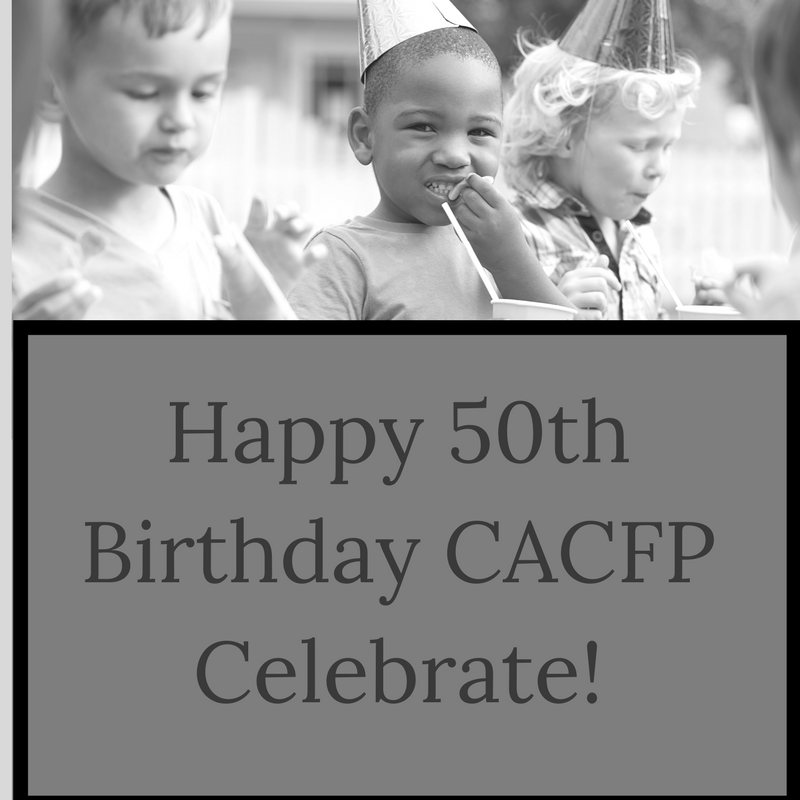 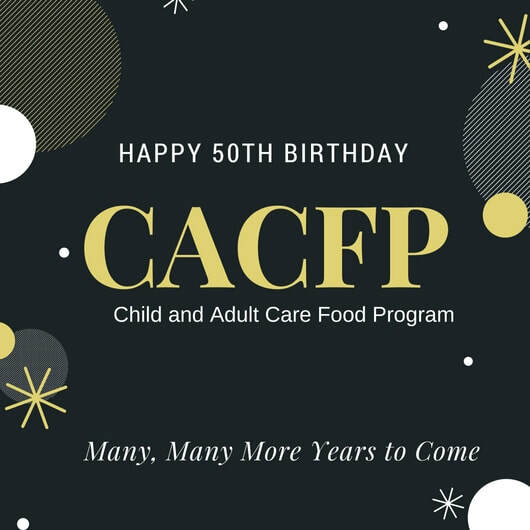 ​Use this birthday celebration and cards to educate the public and your elected officials on the CACFP. 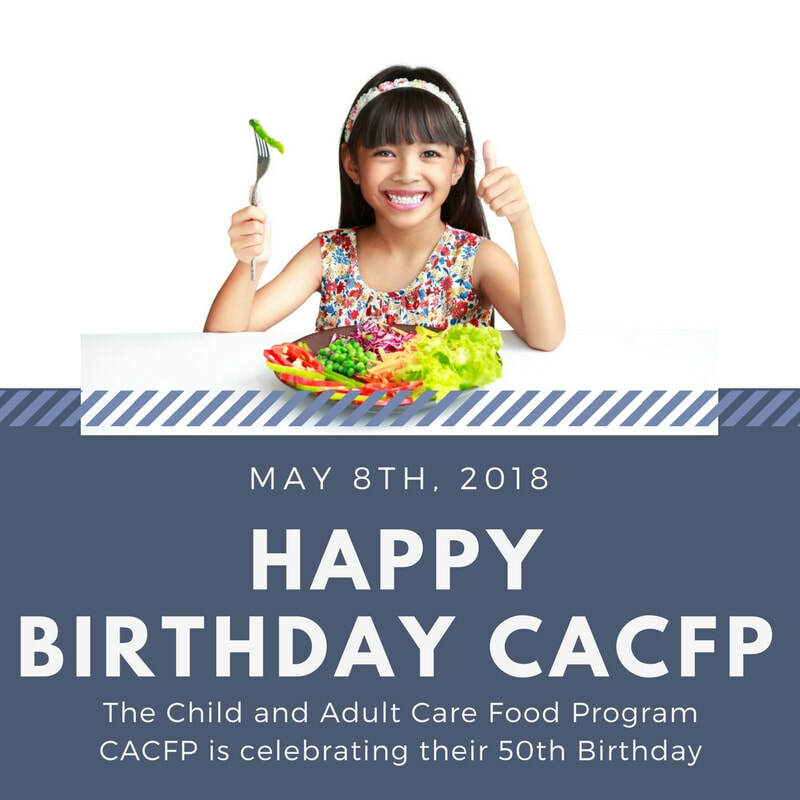 ​Get the children and parents involved in the celebration. 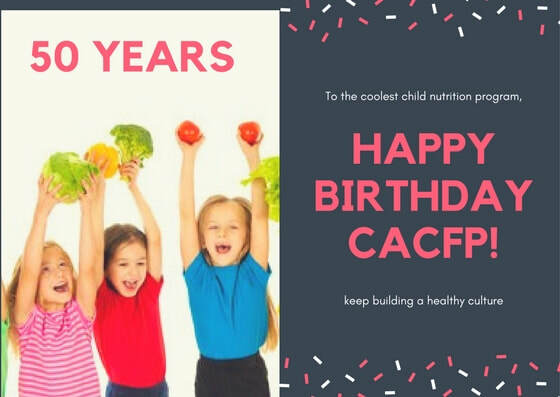 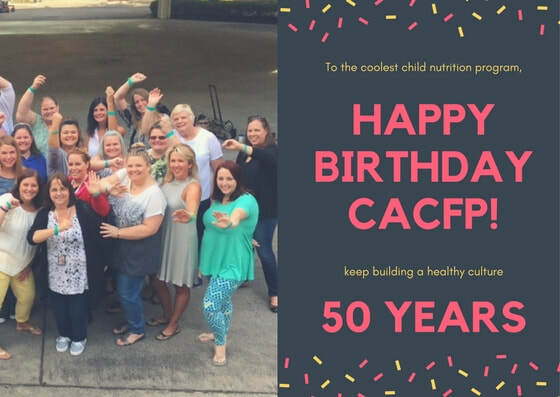 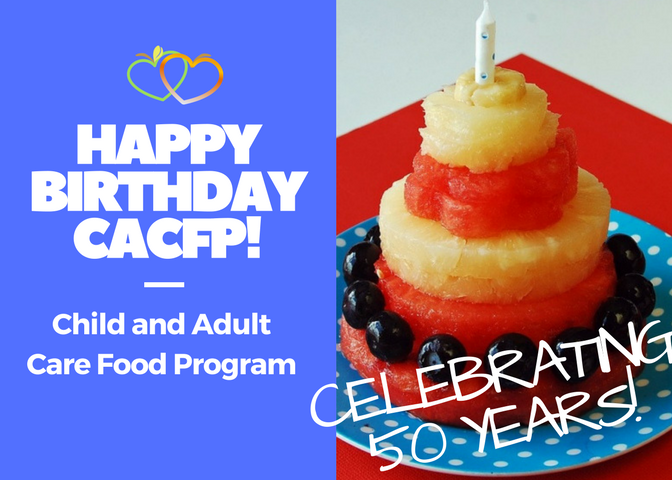 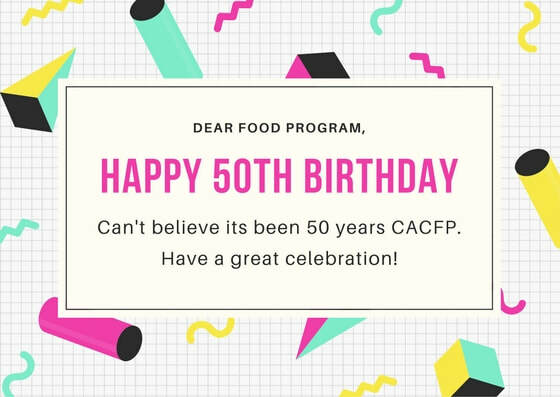 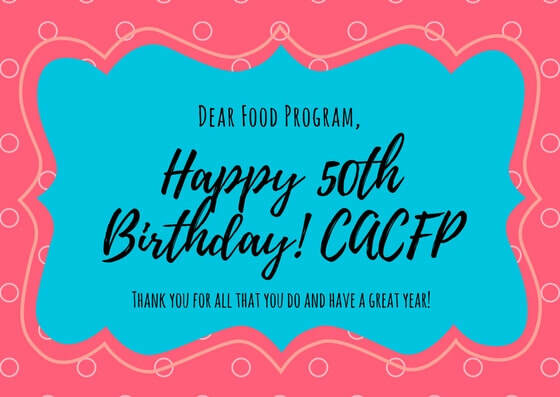 Let them know what CACFP is and celebrate it. 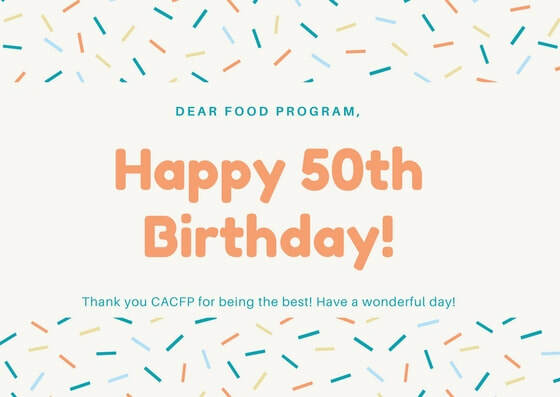 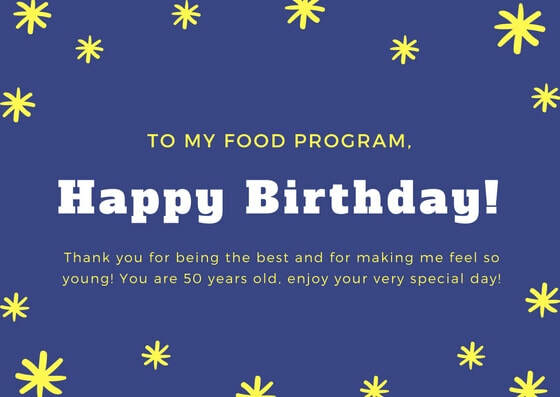 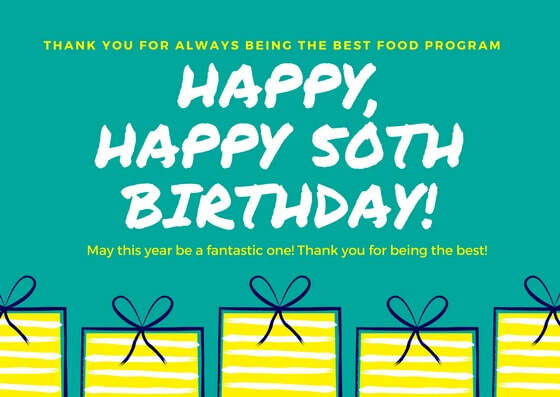 Send cards to your favorite Food Program Sponsor or monitor. 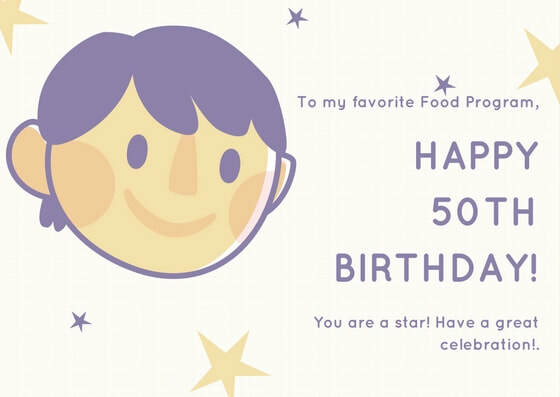 ​Download all of the cards below in pdf files here or right click the picture and save.